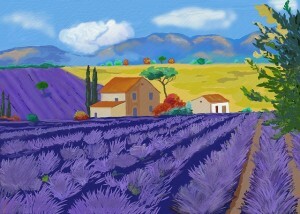 Provence is famous for its “perched” villages, lavender fields, olives and its sunshine and blue skies together with its fabulous colourful markets. 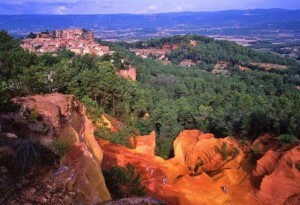 Most of which can be found in the small area of the Luberon. Where some of the prettiest villages in Provence can be found, all within a few kilometers of each other such as Roussillon, Gordes, Laurmarin, Menerbes, Bonnieux, Lacoste and the most photographed Abbaye de Sénanque. The area has inspired writings and subsequent films from its native French such as Marcel Pagnol (Jean de Florette et Manon des Sources and La Gloire de Mon Père and La Chateau de ma Mère) and the recently departed Peter Mayle ( A good year with Russell Crowe). Its stunning scenery from Mont Ventoux and its many lakes and gorges such as the nearby Gorges du Verdon with the pretty village of Moustiers Ste Marie at its head. Whilst the other end of the Luberon there is the chic village of L’Isle- Sur- La- Sourgue which is famous for its Antiques, it’s 300+ shops being housed in former Watermills and factory buildings a legacy of the days when the mills pressed grain and oil. 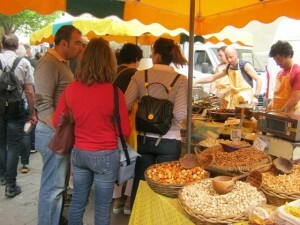 On Sundays they are joined by stall holders that line the rivers edge which sell more affordable but more down market items (more bric- a- brac than antique) together with an enormous typical provencal market, where bargains can be found. For those wishing to furnish their homes in traditional Provencal style this is the place. 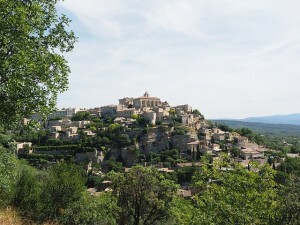 Gordes is considered to be the jewel in the crown of Luberon, one of the many perched villages located high up on rocky crags with magnificent views. These villages grew up around Medieval castles and were perched high to defend valleys and hilltops from the enemy. Gordes sits at the foot of the Vauclause Montains where its defensive walls and gated entrance, steep narrow streets and arcaded passageways which wind through the village with quaint church and public fountain which is synonymous with all these villages has now become one of the trendiest places to live attracting many artists over the years and where second homes and swish hotels and restaurants are the order of the day, yet it remains unspoilt. 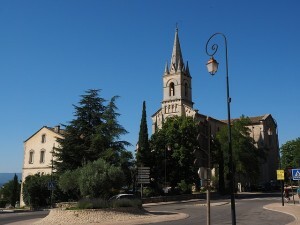 Gordes is also know for its ancient “Borie” village which was faithfully restored by archeologists in the 1970’s . These impressive complex stone properties, were once homes to shepherds and agricultural workers. Another perched village at the foot of the Vauclause Mountains is considered to be one of the most impressive villages in France situated in the heart of one of the biggest ochre deposits in the world, it is famous for its red cliffs. This village will seduce you with its charm, its maze of streets and squares with their ochre façade houses with shades subtly varying through from light yellow to bright red offset by brightly coloured shutters. The houses in and all over the Luberon not just those in the golden triangle have a character of their own with traditional stone farmhouses (mas) and bastide (country home) dominating with terracotta tiles pastel coloured shutters wrought iron work and walls in warm shades tinted with Ochre from Roussillon. 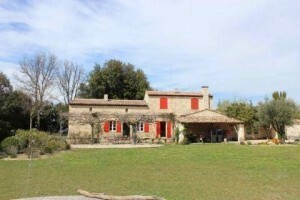 It’s not difficult to inderstand why one would choose to own a holiday home in the heart of the Luberon and when there is such good value property to be found, why not?